Have you ever thought about being a dog foster parent? It’s one of the best ways you can show your love for dogs and help them out at the same time. A foster home is merely a short-term safe haven for a rescued dog that isn’t ready to be adopted yet. Many think of the bottom line: by fostering a dog, you are freeing up a shelter cage so that another dog’s life can be saved. Therefore, foster dogs simply need a place to live — with someone who will love them until a permanent home can be found. That volunteer could be you! 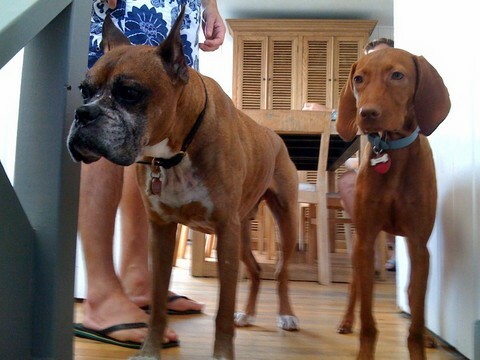 The primary goal of dog fostering is to expose dogs to a safe home environment. Fostering can ultimately prevent behavior problems from developing in dogs who don’t get the love and interaction they need while in a shelter. Depending on the dog, extra attention may be devoted to exposing them to children, other pets, as well as other men and women (both inside and outside the home). In the end, it is how well socialized a dog is that ultimately influences his likelihood of being adopted. Fostering a dog is not only a great way to help a dog in need, but a great way to get involved in your community. The daily experiences and guidance you provide to a foster dog gives that dog a greater chance to succeed in their new (permanent) home. First and foremost, you provide love, stability, and attention which will help him/her to rebuild their trust in human-beings. Second, by working with the dog on socialization, housebreaking, and basic obedience, your efforts will make the dog a more attractive candidate to potential adopters. Third, some homeless animals have lived on the street and have never had a regular routine or schedule, by inviting a displaced dog into your home, you greatly assist him/her in adapting to a home environment for, sometimes, his or her first time. Start looking within your community for a dog foster group. Most dog rescue groups and animals shelters have a foster program, or they can refer you to someone that does. Some are just for a particular breed of dog — like Boxers, Beagles, or Greyhounds. But there are also plenty of dog foster groups that cater to all dog breeds. NOTE: Don’t shy away from contacting a dog rescue group that’s far away from where you live. Chances are, they can put you in touch with a similar group closer to you. If you are unable to find an official dog foster group in your area, check with your local vet or animal shelter. They typically work with dog foster organizations and can point you in the right direction. Next, you’ll want to take the time to visit one (or more) dog foster groups so you can get a good feel for the organization and the types of dogs they rescue & find foster parents for. Then, go through the dog foster group’s application process — which may or may not include a home inspection and/or a training session or orientation class. After you are approved to be a dog foster parent, the next time they have a dog that needs fostering you will be on their list and you will get a call. Can’t find a dog foster group in your area? Check out the Pet Foster Network. Fostering a dog means taking a needy dog into your home and providing him/her with food, water, exercise, and love. While some foster dogs may require extra special care (like medications, weight loss, or weight gain), most simply require daily exercise, and fun! In the end, all a foster dog really requires is some attention and a safe place to stay. So you want to make sure that you have the personal time and emotional commitment necessary to be a dog foster parent. Generally speaking, if you’re going to be a foster dog parent you should have some experience with dogs and be familiar with basic dog care and training. Depending on the dog, fostering may also entail a great deal of clean-up and damage control that you’re not already used to. Yes, foster dogs have been known to ruin window drapes/blinds/curtains, carpeting, clothing, and other valuable items inside the home. That’s why it’s important to prepare your home ahead of time. Puppy-proofing a home is much like baby-proofing a home. You want to do everything in your power to prevent the dog from damaging anything or hurting himself. Doing so can prevent most accidents, but not all of them! Most dog foster organizations have teams of volunteers who help to facilitate the process of acquainting you with your new foster dog and making sure that you and the dog are a good fit for one another. Likewise, by the time a dog is ready for fostering, the dog foster group usually has a feel for the type of household he would do best in (e.g. with kids, no kids; with pets, no pets) as well as some of the dog’s unique quirks and personality style. In addition, any medical or behavioral issues will most likely be identified by this time — and you will be informed of these things prior to taking the dog home. Each organizations has its own set of rules that you must follow to in order to foster dogs through them. For example, they may require that you attend one or more orientation classes. Or they may want to see the dog in person every so often themselves — to ensure that the dog is being cared for properly and/or to monitor the dog’s growth and overall improvement with socialization or any other issues that he initially had. The length of time you foster a dog will depend on the type of dog, the dog’s health, the breed of the dog, and how quickly the dog adapts to his new environment. It also depends on each dog’s unique circumstances and/or restrictions — such as ‘not good with other pets (or children)’ or ‘doesn’t like men’ or ‘is an extremely shy and fearful dog’. In the end, a dog may need to be fostered anywhere from 2 weeks to 2 months… it’s hard to say. Usually, if a foster dog requires extra medical attention or special foods or equipment while in your home, the dog foster group will pay for that. If you have other pets in your home and you wish to foster a dog, make sure that your other pets are up-to-date on all of their vaccinations. And make sure you already know that your dog (or other pet) gets along well with other dogs. It’s best to introduce your own dog to the foster dog in a neutral area (like the parking lot of the foster organization) before you bring the foster dog home. That way, you can see how they get along. Plus, meeting on neutral territory (rather than in your dog’s own backyard), they are more likely to be friendly toward one another, rather than aggressive, jealous, or battling over turf areas. IMPORTANT: Before you decide to foster a new dog, make sure that the dog foster group would be willing to take the dog back if necessary — if circumstances beyond your control should arise. That said, the behavior of foster dogs can be unpredictable, and you should be prepared to deal with the unknowns. For example, even previously housebroken dogs may have accidents at first. Plus, in unfamiliar surroundings, dogs may display inappropriate chewing or barking. There will definitely be some adjustment in the beginning. It can be stressful for both you and the dog to be in a new situation. 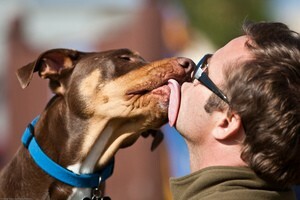 It is up to you to train the dog how to behave appropriately in a home… with people. While few would argue that it is, indeed, difficult to return a foster dog when it’s time for them to go to their permanent home, you will find comfort in knowing that the dog will be living the rest of their life in a safe and loving home — as it was meant to be. That alone, is incredibly gratifying and rewarding for a dog foster parent. At the same time, you can take pride in the fact that you have accomplished the huge task of socializing and loving this very special dog that entered your life at a time when he needed you the most. Mission accomplished… it was a job well done! Thinking through some of these things ahead of time (even from the very first day that a foster dog enters your home) and dealing with challenges like these ‘logically’ rather than ’emotionally’ will make it much easier to let go when the time comes. Are You Ready To Be A Dog Foster Parent?